Using photography on your website and social media posts is a great way to build awareness and interest in your brand–but only if your photos are effective. So what should you be looking for when it comes to stock photos? Let’s look at some of the most important features to keep your eye out for. Every social platform has its own sizing requirements for images, and when you use photos that don’t fit properly you end up with odd white space around it. Not only does this look strange, it also looks unprofessional. Grab HubSpot’s ultimate cheat sheet (but know that this can–and will–change at the whim of the social media platform!). People want to be moved–to feel something, to do something. Find photos that match your brand and that evoke some sort of emotion that grabs their attention and makes them want to do more. Composition, movement, subject matter and lighting (among other things) add to the emotion of a photo. Click-bait isn’t cool, and while it may entice your audience to click through, you’ll burn some bridges and lose trust. Your stock photos should relate to the content you’re providing your audience, complementing the value you’re providing. Not only that but your audience should be able to understand and relate to the photos you provide. Are they something you’d expect to see on your social platforms, or are they out of character for your business and for you? Any photo you use within your business–whether it’s a stock photo or custom business portraits–should follow the rules of photography. Composition, the Rule of Thirds specifically, ensures that the photos are professionally crafted to make the most of the elements present. 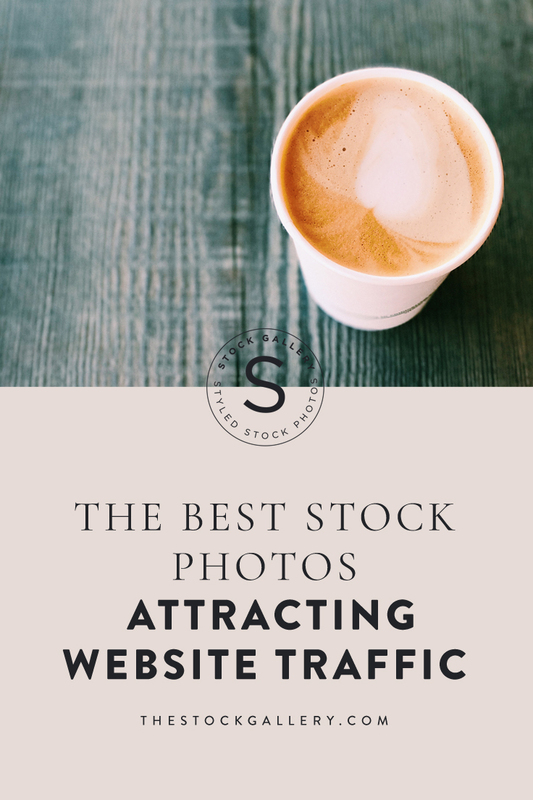 When they look good and tie to the content you include with them, stock photos are sure to attract the audience you want. A great photo isn’t just about a pretty picture. It’s also about growing the visual side of your brand so you can drive traffic from social media to your website–and convert followers into customers. And it all starts with the best stock photos you can find.